devFoam is the right application for you. 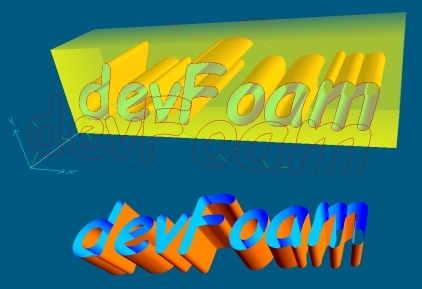 Using devFoam you can create in a very simple way cutting files for a foam cutting 4 axis CNC machine. 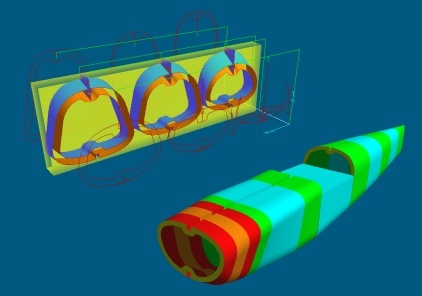 If you want to cut free shapes, devFoam includes a Cad section using the devCad technology. devFoam Pro is the right application for you. You can create and cut foam parts with different left/right sides, with manual or automatic Synchro Points generation. By using the 'Draw - Autotrace a background image' command you can vectorialize a raster image in a very fast and simple way. See an example in the included movie. How can I draw and cut a foam fuselage in a simple way? And how can I draw and cut a foam wing in a simple way?